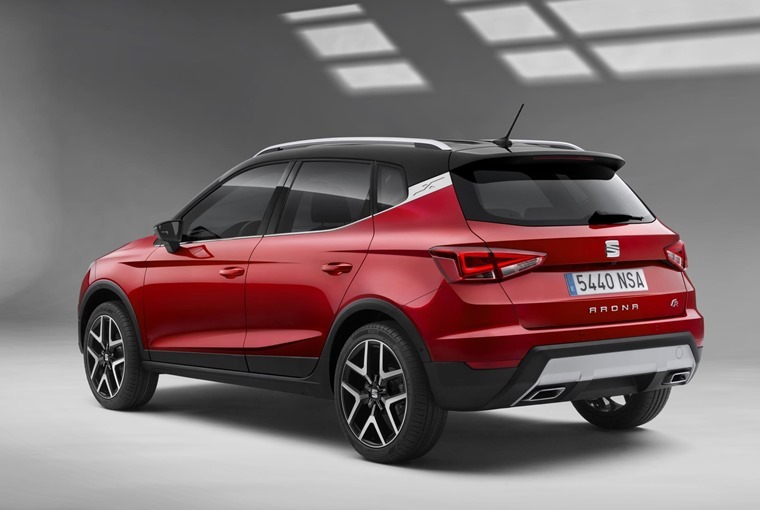 After its recent debut at the Frankfurt Motor Show, the Seat Arona is now available to lease. Check out best personal deals by clicking here, or keep reading to find out more about this all-new crossover. The Arona is the first Seat model in the compact crossover segment. 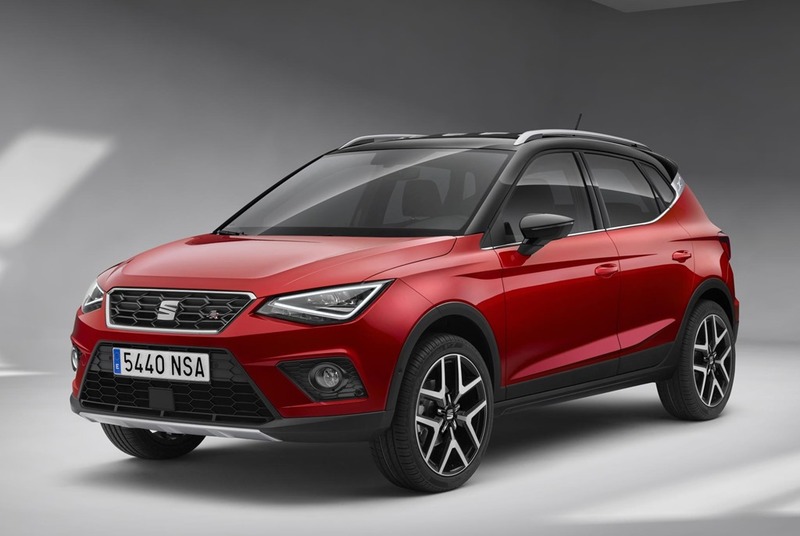 Far from confining itself to a specific category, Seat is promising that the Arona is a lesson in versatility and thanks to its compact size and the sensations of safety and control offered by its high driving position and modern design, it is perfect for everyday city driving but it’s not afraid to show its fun and adventurous side either. Combining the advantages of its compact dimensions in the city, with its crossover attributes once it is out of the city limits, the Seat Arona promises to offer elegance, spaciousness, practicality and comfort in the normal Monday to Friday working week, while being adventurous, robust, sporty and efficient at the weekend. The Arona's robust front follows the same structure as the Ateca, with a look that's more pronounced without being ‘aggressive’. Also, the license plate on the tailgate, allows a more robust bumper design and raises the car visually. Based on the same MQB AO platform as the upcoming Ibiza, the Seat Arona measures 4,138mm long, 665mm diameter and offers a class-leading boot space of 400-litres. Inside, the horizontal proportions emphasise and enhance the car’s size, giving an even greater feel of roominess and space. 99mm taller than the Ibiza, the High Console Concept also gives the console more prominence with every element positioned such that the driver barely has to look away from the road while driving. All of the instruments are oriented toward the driver, with an 8in touchscreen display sitting in the middle of the dash and within reach, allowing for easy adjustments and increased safety. Apple Car Play, Android Auto and Mirror Link offer additional connectivity. 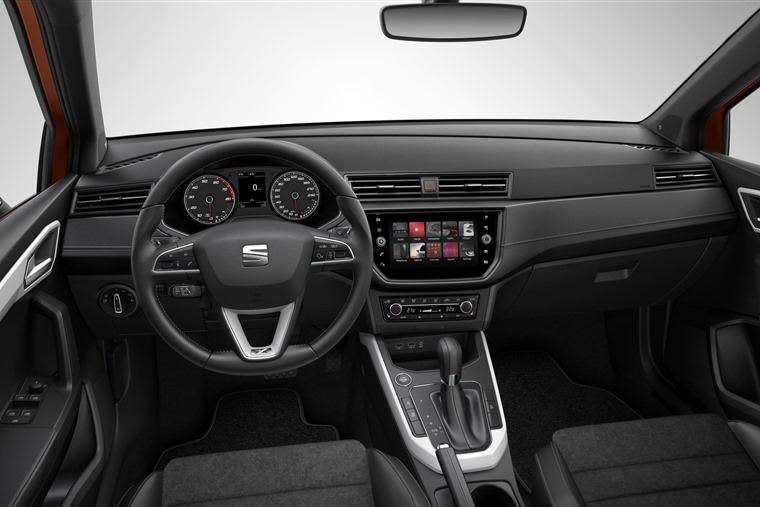 Engine and gearbox options are largely adopted from the Seat Ibiza, with three turbocharged petrol engines offered from launch: a 95bhp 1.0-litre three-cylinder linked to a five-speed manual box, a 115bhp version with a six-speed manual or seven-speed DSG auto, and a 148bhp 1.5-litre four-cylinder engine with a six-speed manual gearbox. This also features cylinder deactivation to help reduce fuel consumption. The only diesel in the Arona line-up is a 1.6-litre engine with either 95bhp paired to a five-speed manual box or a seven-speed DSG, or 115bhp paired to a six-speed manual. 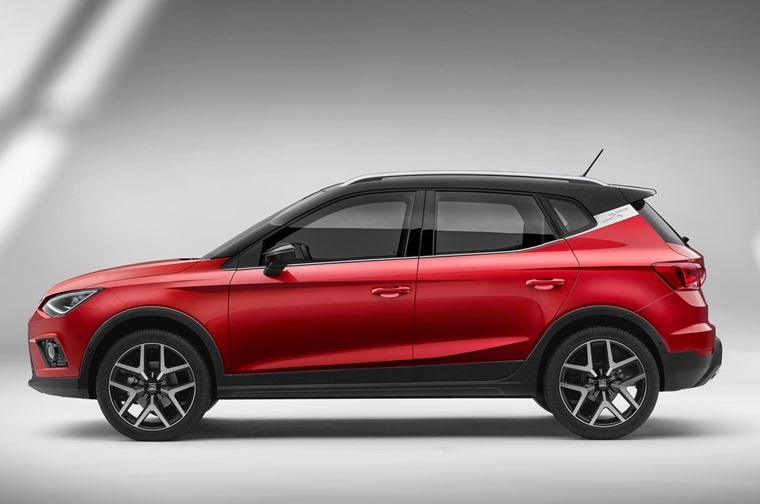 “We’re certain that the New Seat Arona is the perfect answer to the current demands of our customers, in terms of dynamic behaviour, comfort, safety and state-of-the-art technology. We are once again setting new standards in the segment.” says Dr. Matthias Rabe, executive vice-president for research and development.